Researchers have proposed three different methods for providing consistent power in 139 countries using 100 percent renewable energy. The inconsistencies of power produced by wind, water, and sunlight and the continuously fluctuating demand for energy often hinder renewable energy solutions. 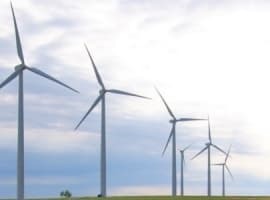 In a new paper, which appears in Renewable Energy, the researchers outline several solutions to making clean power reliable enough for all energy sectors—transportation; heating and cooling; industry; and agriculture, forestry, and fishing—in 20 world regions after all sectors have converted to 100 percent clean, renewable energy. The researchers previously developed roadmaps for transitioning 139 countries to 100 percent clean, renewable energy by 2050 with 80 percent of that transition completed by 2030. The present study examines ways to keep the grid stable with these roadmaps. “Based on these results, I can more confidently state that there is no technical or economic barrier to transitioning the entire world to 100 percent clean, renewable energy with a stable electric grid at low cost,” says lead author Mark Z. Jacobson, a professor of civil and environmental engineering at Stanford University who is also a senior fellow at the Stanford Precourt Institute for Energy and the Stanford Woods Institute for the Environment. The paper builds on a previous 2015 study by Jacobson and colleagues that examined the ability of the grid to stay stable in the 48 contiguous United States. That study only included one scenario for how to achieve the goals. Some criticized that paper for relying too heavily on adding turbines to existing hydroelectric dams—which the group suggested in order to increase peak electricity production without changing the number or size of the dams. The previous paper was also criticized for relying too much on storing excess energy in water, ice, and underground rocks. The solutions in the current paper address these criticisms by suggesting several different solutions for stabilizing energy produced with 100 percent clean, renewable sources, including solutions with no added hydropower turbines and no storage in water, ice, or rocks. At the heart of this study is the need to match energy supplied by wind, water, and solar power and storage with what the researchers predict demand to be in 2050. To do this, they grouped 139 countries—for which they created energy roadmaps in a previous study—into 20 regions based on geographic proximity and some geopolitical concerns. Unlike the previous 139-country study, which matched energy supply with annual-average demand, the present study matches supply and demand in 30-second increments for 5 years (2050-2054) to account for the variability in wind and solar power as well as the variability in demand over hours and seasons. For the study, the researchers relied on two computational modeling programs. The first program predicted global weather patterns from 2050 to 2054. From this, they further predicted the amount of energy that could be produced from weather-related energy sources like onshore and offshore wind turbines, solar photovoltaics on rooftops, and in power plants, concentrated solar power plants, and solar thermal plants over time. These types of energy sources are variable and don’t necessarily produce energy when demand is highest. The group then combined data from the first model with a second model that incorporated energy produced by more stable sources of electricity, like geothermal power plants, tidal and wave devices, and hydroelectric power plants, and of heat, like geothermal reservoirs. The second model also included ways of storing energy when there was excess, such as in electricity, heat, cold, and hydrogen storage. Further, the model included predictions of energy demand over time. Scenarios based on the modeling data avoided blackouts at low cost in all 20 world regions for all five years examined and under three different storage scenarios. One scenario includes heat pumps—which are used in place of combustion-based heaters and coolers—but no hot or cold energy storage; two add no hydropower turbines to existing hydropower dams; and one has no battery storage. 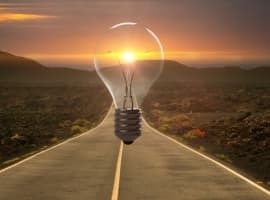 The fact that no blackouts occurred under three different scenarios suggests that many possible solutions to grid stability with 100 percent wind, water, and solar power are possible, a conclusion that contradicts previous claims that the grid cannot stay stable with such high penetrations of just renewables. Overall, the researchers found that the cost per unit of energy—including the cost in terms of health, climate and energy—in every scenario was about one quarter what it would be if the world continues on its current energy path. This is largely due to eliminating the health and climate costs of fossil fuels. Also, by reducing water vapor, the wind turbines included in the roadmaps would offset about 3 percent of global warming to date. Although the cost of producing a unit of energy is similar in the roadmap scenarios and the non-intervention scenario, the researchers found that the roadmaps roughly cut in half the amount of energy needed in the system. So, consumers would actually pay less. The vast amount of these energy savings come from avoiding the energy needed to mine, transport, and refine fossil fuels, converting from combustion to direct electricity, and using heat pumps instead of conventional heaters and air conditioners. Jacobson and his colleagues says that a remaining challenge of implementing their roadmaps is that they require coordination across political boundaries. Additional coauthors of this paper are from Aalborg University in Denmark and UC Berkeley. I've heard of professor Jacobson's 100% renewables claims before. Good to get the latest details of how to do it, in this report. We have many reasons to transition to clean energy. It's kind of mind-boggling to think about how the whole world can do it. But maybe we can?! No question, clean energy is our preferred energy future. Clean energy is not only less polluting; people don't fight over solar and wind power. It's everywhere available for peaceful harvesting. 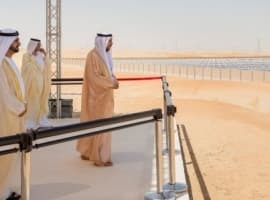 Let's face it, one of the biggest detractors for fossil fuel energy is countries fighting over the resource and getting it to market in one piece. -Something to think about in terms of energy reliability discussed in the article. There is no such thing as clean energy. You have to manufacture the wind turbines and solar panels with fossil fuels plus mine the rare earths, silica, and lithium/cobalt(if you want batteries). All renewables do is shift the pollution to China. Stanford should look at the total impacts of the mining/manufacturing/3rd world pollution of this supposed clean energy. Hydrogen can certainly be hydrolyzed from water. And the necessary electricity can certainly come from intermittent renewables. The most efficient way to convert hydrogen back to electricity at grid scale would be a PEM fuel cell or an SOFC. The math can be done using Ballard’s 1MW PEM, since a few have actually been sold as demos. Ignore the technical difficulties of bulk hydrogen storage, which the following methane alternative ‘solves’. The theoretical efficiency of hydrolysis is ~88%. About 4% of commercial hydrogen is made this way today, with real efficiencies of ~75%. EERE says PEM fuel cells can be 60% efficient. But that is also theoretical. Ballard’s real 1 MW ClearGen® is 40±2% efficient, with a lifetime of ~15 years (similar to NaS). The round trip efficiency of a hydrogen electricity storage system would be about (0.75 * 0.4) 30%. For a utility, that is awful.